Many working Americans have some form of retirement account, whether in the form of an employer-sponsored 401(k), a Traditional Individual Retirement Account (“IRA”), a Roth IRA, a life insurance policy, or another type of account. But most Americans have no idea that you can actually trade forex (FX) using your Traditional or Roth IRA accounts. Let’s take a look at your retirement accounts and what you can do with them to diversify your investing. How do Traditional and Roth IRAs work? People typically invest in their own IRAs in addition to their 401(k)s as a way to increase their annual contribution and also to give themselves more options for tax-advantaged retirement accounts. Typically, these retirement accounts are held by large investment banks or brokerages that provide custodial services to ensure that the funds are not mixed together with non-retirement funds in order to protect their special tax treatment. 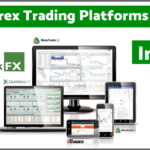 Why can’t you use any IRA for FX trading? These investment banks or brokerages will provide custodial services for free because they know they’ll earn money on your retirement account through management fees, performance fees and/or brokerage commissions when they invest your funds. And you’re forced to invest or have your funds invested for you only in the financial products offered by the bank or brokerage acting as your custodian. In many cases, these custodians do not offer you the ability to invest in the FX market. By volume, the FX market is the largest financial market in the world, so not offering FX seems like a pretty big shortcoming. The good news is that there is a readily available solution through one of several, established IRA custodians that allow for self-directed investments. In exchange for a small fee, you can create your own self-directed Traditional IRA or Roth IRA into which you can make an IRA contribution or rollover funds from another IRA you maintain. 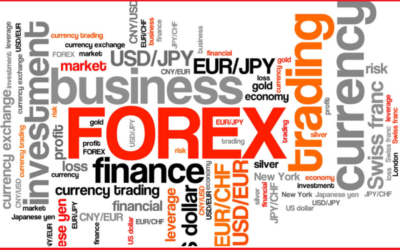 The custodian can then assist you in setting up various investment accounts in the name of your Traditional IRA or Roth IRA, including FX trading accounts with reputable US-regulated forex brokers. With a self-directed Traditional IRA or Roth IRA, you can now have the financial freedom to invest your retirement funds in the FX market. And there are many other benefits to explore as well. For more information on how to trade FX through your Traditional IRA or Roth IRA, please contact support@forestparkfx.com.